The day: Monday. The time: 7:00 p.m. Central Time. The setting: A living room couch in front of a TV. For years, this scene has been a weekly ritual for millions of loyal fans of ABC’s hit reality show, “The Bachelor.” For these viewers, the sound of iconic host Chris Harrison saying, “Tonight, on ‘The Bachelor’,” is music to their ears. This year marks the 22nd season of “The Bachelor” which features real estate agent and former race car driver Arie Luyendyk Jr. Due to the success and extreme popularity of “The Bachelor,” ABC has aired spin-offs such as “The Bachelorette,” “Bachelor in Paradise,” and the newest addition, “The Bachelor Winter Games.” Although millions of Americans are obsessed with the original series, ABC may have jumped the gun with all of the supplementary shows. According to TV journalist Matt Webb Mitovich, this season of “The Bachelor” experienced all-time premiere lows with total viewers dropping by 17% compared to last year. With such a profound cult following this sort of drop does not occur often. Many speculate that this is because Luyendyk is 35, which is older than the average 31 year old bachelor. Emilia Chojnacki (Adv. 904), a student who decided not to tune in this season, says, “The previews made him look old and outdated. They focused too much on his gray hair and stable job and home life.” Additionally, ABC typically has a strong focus on drama and tears in their previews, but they failed to do so this season. In an effort to raise the romance and maturity of the show, the network simultaneously lost its excitement factor and ultimately a large handful of their loyal viewers. As a result, the number of “The Bachelor” viewing parties have steadily died out within the Northside community and are nearly extinct at this point. The first episode commenced as it always does, with an astounding 29 women doing their best to impress Luyendyk as they stepped out of their limousines to meet the eligible bachelor and potential husband. Social media blew up over the lack of diversity, as nearly a third of the women had the same dirty blonde hair, and 13.79% of them were named Lauren. Within the first couple dates Luyendyk wasted no time by showering the women with expensive gifts, and even taking one woman, Krystal, on a date to meet his family in his hometown. These types of dates do not normally occur until the end of the season, showing that this season’s bachelor means business. These early displays of favoritism from the bachelor to girls like Krystal placed a target on their backs. It is clear that Krystal is set up to be the villain of the season, and responses from viewers have only progressed this characterization. Northside student Madeleine Schoeff (Adv. 908) says, “Krystal is annoying and selfish and conceited.” Adding to this, Gaby Jimenez (Adv. 902) says, “Krystal can go jump off a cliff.” These harsh statements have been triggered by Krystal’s attitude, Luyendyk’s accelerated dating approach, and the network’s intention of creating a villain. Other controversial contestants include Bekah, who, at 22, is 14 years younger than the bachelor. This season’s bachelor is going in a more realistic direction by removing contestants early that Luyendyk sees no future with. This results in some of the most interesting and problematic women being kicked off the show too soon, leaving only those who are “wife material,” which diminishes potentially intriguing drama. 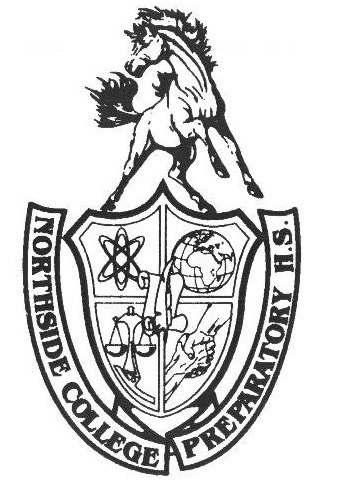 Visible in the contrasting perspectives of these Northside students, social media has set ablaze arguing over the controversial new season. While some fans praise the bachelor for his sophisticated manner, others label him as boring and mundane. Effectually, this season’s viewership has been kept afloat by the wavering fans who continue to watch in fear of missing out on a few dramatic turns. If viewers don’t see the expected tears and outright absurdity soon, future ratings for “The Bachelor” Season 22 are sure to sink.